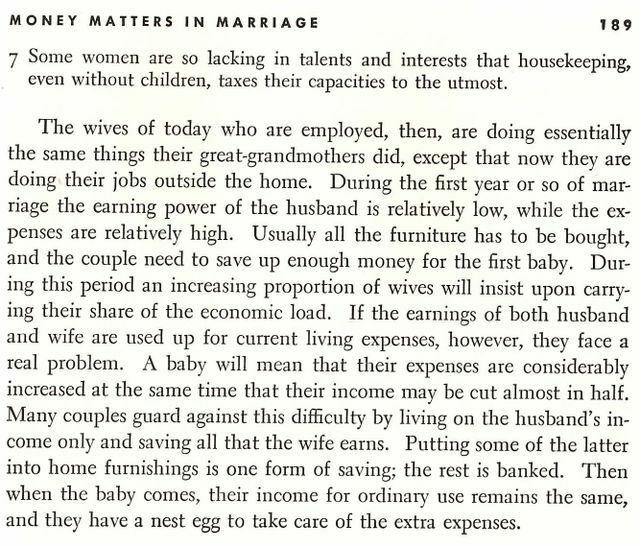 It should be noted (although I'm sure you picked up on it) that the argument here is just whether a married woman should work. The assumption that she will quit that job immediately once a baby arrives is not even questioned. That is, of course, if she's not already "so lacking in talents and interests" that sending her to work is the equivalent of letting a hamster do your taxes.